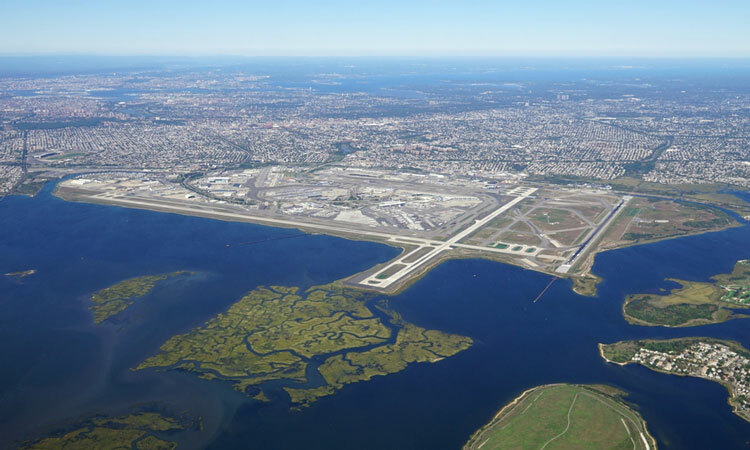 There could be some delays and changes to some flight times as work gets underway one of four runways normally in use at New York's John F. Kennedy International Airport. The work started this week and will be continuing through to November 2019 and sees runway 13L-31R and associated taxiways closed for repaving that will also widen the runway by 33%. The project will also allow the installation of new lights, signs, cables and navigational aids. Once completed, the Port Authority assures us it will meet all new safety standards and will incorporate the latest landing technology. “This project is critical to achieving those goals, and we are working to ensure minimal impact while the reconstruction is underway.” Kevin O’Toole, Port Authority Chairman said. The new runway will be of solid concrete construction which is said to be more resilient and longer lasting than its asphalt cousins. The decision to use concrete as opposed to asphalt for the runway project will reduce the number of construction days and extend its useful life to 40 years, instead of the typical asphalt lifespan of eight to 12 years. In addition to the runway, the project will also see the creation of new high-speed taxiways that are designed to enable aircraft to exit the runway more rapidly, thereby increasing the number of movements the runway can achieve at peak times. quickly allow the runway to handle more aircraft per hour at peak periods. Delta which operates more than 200 peak-day departures to more than 80 destinations worldwide from its New York JFK hub says it will work closely with the Port Authority of New York & New Jersey and the Federal Aviation Administration to manage aircraft traffic and maximise efficiency while Runway 13L is closed.